Deep bed filters are used in the polishing of waste waters before discharge, both in municipal treatment works, and on industrial sites. In biochemical manufacturing processes, larger fragments are removed by centrifugation. There is a vital clarification task to be performed, on extremely costly suspensions. Depth filters are proving adept at this. In surface straining any particle that is larger in size than the pores of the medium deposits on the surface, and stays there until it is removed. Particles that are smaller in size than the pores pass quickly through the medium. This is the main operating mechanism for bar screens, and plain woven monofilament plastic or wire mesh. Depth straining is also entirely governed by particle size or shape. For filter media that are relatively thick by comparison with their pore diameters, particles will travel along the pore until they reach a point where the pore narrows down to a size too small for the particle to go any further, so that it becomes trapped. Strictly speaking, depth straining is to be differentiated from depth filtration, which also occurs somewhere along the length of a pore. Now, however, the particle becomes trapped in the depth of the medium, even though it is smaller in diameter, and possibly much smaller, than the pore at that point. Such behaviour involves a complex mixture of physical mechanisms. Particles are first brought into contact with the pore wall (or very close to it), by inertial or hydraulic forces, or by Brownian (molecular) motion. They then become attached to the pore wall, or to another particle already held, by means of van der Waals and other surface forces. The magnitude and efficacy of these forces may be affected by changes in factors such as the concentration and species of ions in an aqueous solution, or the humidity of a gas. This mechanism is important for most media, but especially for high efficiency air filters and in deep bed (sand) filters. The process that is to be cake filtration begins with the formation of a layer of particles on the surface of the filter medium, with larger pores bridged by a group of smaller particles. On this layer, a cake of particles accumulates to act as the filter medium for subsequent filtration. These definitions emphasise that the mechanisms of filtration may result in the trapping of far smaller particles than might be expected from the size of the pores in the medium. The actual mechanism or combination of mechanisms pertaining in any specific instance is dependent on the characteristics both of the medium and of the suspension being filtered. If the filter medium is thick, with respect to the diameters of the fibres or particles of which it is comprised, then the separation of the suspended particles from the fluid will occur by both depth straining and depth filtration, and it will not be possible to distinguish between them. Accordingly, the term “depth filtration” is applied to the combined mechanism, and is the sense in which it is used in this article. There are two prime purposes for filtration: either to recover the solids suspended in the fluid being filtered, in as concentrated a form as possible, or to remove any suspended solid from a fluid, as completely as possible (although it is frequently desirable to combine both purposes). The recovery process usually deals with fairly concentrated feed suspensions, and proceeds by means of cake filtration. The clarification process, on the other hand, usually involves the removal of contaminants from the feed liquid, with the suspended solids in fairly low concentrations. It is clarification that is the main function of depth filtration, for which its mechanism is well suited, with its ability to remove particles considerably smaller than the average pore diameter in the filter medium. An important feature of clarification filters is their ability to hold a significant quantity of trapped solids before they become blocked and must be cleaned or replaced. With the very common flat sheet filter media this aim is achieved by pleating the sheet, or arranging in some other way, that the largest possible area of medium can be packed into the volume of the filter housing. Depth filters, by contrast, achieve their dirt-holding capability by means of the thickness of their media, frequently with pore sizes that are graded to be smaller in the direction of fluid flow, so that coarser particles are trapped first. This is achieved in two very different types of depth filter: the deep bed (or sand) filter, and the thick medium filter. Any clarification filter (other than the self-cleaning types) will eventually become full of trapped solid, at which point the filter must be cleaned, by backwashing or chemically – or replaced. There are the two types of depth filter just mentioned, which are very different in construction, and hence in application, and in means of cleaning. The deep bed filter, as its name implies, involves filtration vertically through a packed bed of granular or fibrous material, whose height is considerably greater than even the thickest of continuous filter media. It is typified by the conventional sand filter, which clarifies water by depth filtration mechanisms as it flows through a bed of graded sand that may be up to one metre in depth. Many different granular and crushed materials have been used to form the deep beds employed in the large gravity and pressure filters common to the water purification and sewage treatment industries. In addition to sand, which is the classic and most common material, others used include garnet, ilmenite, alumina, magnetite, anthracite and quartz; coke and pumice have also been used but, because of their porosity, they are troublesome to clean and consequently give rise to the danger of uncontrolled breeding of bacteria. Conventionally, there are two main types that operate with gravity flow downwards through a 0.6–1.0m deep bed – the “slow” and “rapid” sand filters. Slow sand filters operate with a velocity of 0.1–0.2m/h down through the bed. They actually function largely by straining through a biological layer that forms on the surface of the bed. They are cleaned occasionally by the reasonably complete removal of this layer, without disturbing the rest of the bed. Rapid sand filters utilise a velocity of 5–15m/h and function by depth filtration within the bed. They are cleaned frequently by cessation of process flow, followed by a reverse upward flow of wash water at such a rate that the bed expands and releases the trapped dirt particles; this cleaning flow may be augmented by some form of agitation, such as injecting compressed air below the bed or hydraulic jets impinging on the surface. This cleaning process has an important secondary effect, which is to reclassify the granules of the bed based on the combined influence of their size and their density, so that the washed bed is graded from finest at the top to coarsest at the bottom. A variety of other types of filter has been developed from the rapid sand filter, including pressurised versions, and the use of upward flow so that the incoming raw water encounters the coarsest granules first and the finest last. These beds are also washed by an expanding upward flow, with the dirty effluent withdrawn separately. Multi-layer filters with conventional downward filtration achieve the same results by means of beds comprising two or more materials of different densities so that the hydraulic classification resulting from cleaning places the finer, denser particles on top of the coarser, less dense particles. The most modern version of the rapid sand filter is that which uses a moving bed of sand, whereby both filtration and cleaning proceed continuously and simultaneously. Recent evidence (from the US EPA) suggests that such filters can be as effective as membrane filtration plants in the removal of such pathogens as Cryptosporidia and Giardia from water intended for drinking. The deep bed filter is mainly used for large flows of contaminated water, but moving bed filters are also coming into use for the treatment of hot, dust-laden exhaust gases, for which purpose they are a strong competitor to ceramic candle filters. The alternative form of depth filter is predominately composed of a replacement filter cartridge, in a generally cylindrical shape (to fit in to a cylindrical containment vessel). This cartridge may either be an actual, self-supporting cylinder of thick porous material, or a similar shape created by the laying down of a thick layer of porous material on a cylindrical core, or the quite different format created by clamping together a set of lenticular discs, each made from two circular layers of thick material, bonded together at their outside edge. The substance from which such cartridges may be made includes a very wide range of materials, both natural and synthetic. These may be natural or artificial fibres or filaments, self-bonded as in a felt, thermally bonded as in a nonwoven fleece, or resin bonded into a moulded cylinder. The basic fibre may be metallic, glass or ceramic as well as organic, and all of these materials may be used as granules before thermal bonding (sintering) or resin bonding. Increasingly the important modern varieties of nonwoven materials made from extruded thermoplastics are being applied directly from the extrusion process onto a take-up core, to make a layer of any desired thickness. The cartridge may also be made from a continuous multi-filament yarn wound at an angle around a core, to give a spirally wound medium. Alternatively, thick sheets of material, woven, nonwoven or bonded, may be cut, wrapped around a core and joined at the long edge. However the depth filter medium is made, there is considerable scope for building in to the resultant filter element the required filtration efficiency, flow resistance and dirt-holding capacity, by the proper choice of basic fibre or granule size and shape. As has already been implied, the job of the depth filter is very largely that of the removal of small quantities of unwanted suspended material from a fluid flow – where that fluid may be the product of a process, or a feed to a process, or a waste stream that must be cleaned before it may be discharged into the environment. It is rare that the separated solid is anything other than a waste material (whose quantity has hopefully been minimised before arrival at the depth filter), so that any cleaning process for the filter element will be designed to restore its original filtration characteristics as far as possible, rather than to retrieve the accumulated solids. In the case of the deep bed filters, the application is almost all in the clarification of drinking and process water, where they are very widely used, and in the polishing of waste waters before discharge, both in municipal treatment works, and on industrial sites. The potentially important use for cleaning hot exhaust gases is well worthy of note, but is nowhere at the scale of deep bed use for water. Thick media filters are used in almost every industrial process, mainly, but by no means entirely, in the cleaning of liquids. They are used for maintaining the integrity of hydraulic and pneumatic systems, and for cleaning machine tool coolant. 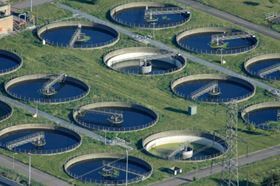 In a vastly numerous range of individual applications, thick media filters provide the required liquid clarity as feed to membrane processes, as products in the food and beverage, and fine chemicals and toiletries sectors. In the majority of biochemical manufacturing processes, a fermentation process either produces a valuable product secreted from the cell during the reaction, or retained in the cell after the reaction. 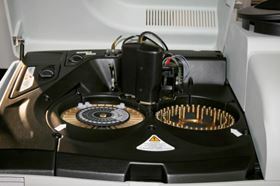 When the larger fragments are removed, usually by centrifugation, before or after the cell wall is broken, there is a vital clarification task to be performed, on extremely costly suspensions. Depth filters are proving adept at this task 2 and 3, enabling the fermentation products to be prepared quickly, cleanly and with high production rates. They are also important in the provision of the various feed media for bioreactors, the range of depth filters used as prefilters being very wide. An important development in this sector is the move towards single-use filters, to avoid any risk of cross-contamination. This greatly helps with process validation costs, as it ensures that sterile filters are used every time. The economics of biotechnology are such that the costs of using disposable filters are small compared with the process savings. 1 Derek B Purchas and Ken Sutherland, Handbook of Filter Media (2nd Edition), Elsevier Advanced Technology (2002). 2 Mahesh Prashad & Klaus Tarrach (2006), Filtration+Separation, 43, September, 28–30. 3 Mandar Dixit & Ulrich Bräutigam (2007), Filtration+Separation, 44, July/August, 24-6.